Slip the super-lightweight JBL Reflect Mini BT wireless sport earphones into your ears before you hit the gym. 8 hours of continuous playback time, your long exercise sessions won’t be interrupted by a dead battery. No extra hanging wires either, just hands-free Bluetooth wireless connection. And they feature both sporty and normal tips, plus a three button remote and mic, perfect for whatever you’re up to. 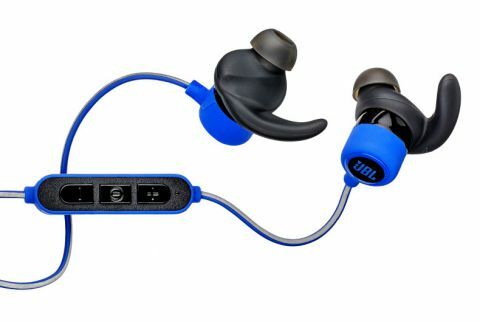 As the lightest JBL Bluetooth sport earphone, these ear-friendly buds provide long lasting comfort during a variety of athletic activities. Ergonomic ear tips stay securely in place during rigorous exercise. And a highly reflective cable gives you ultimate visibility for late-night jogs.